The term Pythonidae is derived from Greek Language. In Greek, the word is python. Pythons are non venomous snakes that we can find in Africa. Australia and Asia. Among the members of the python family, we can find some of the world’s largest snakes. Till date, eight genera and twenty-six python species have been recognized. We can find pythons in the sub Saharan regions of Africa, India, Nepal., Myanmar, Pakistan, Bangladesh, Sri Lanka, Nicobar Islands, Southern China, Indonesia, Australia and Hainan. An introduced population of Burmese pythons exists in the Everglades park in the U S as an invasive species. Reports of python attacks on humans were common in the past. We seldom hear such reports these days. Pythons are mostly Ambush Predators as they lie in waiting for their prey from a perfectly camouflaged point and suddenly strike. They do not usually attack human beings. They do, if threatened or provoked. Female pythons are very aggressive when protecting their eggs. Pythons have sharp teeth that curve backwards. There are four rows of teeth in the upper jaw and two rows of them in the lower jaw. These teeth help the pythons to firmly grasp their prey before killing them. 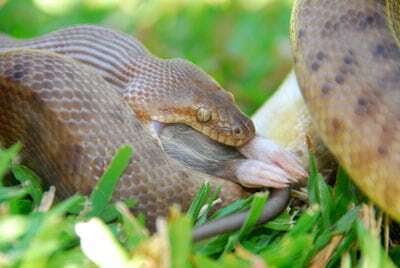 The prey is then killed by constriction. After they grasp the prey, they just coil their body around the prey and just tighten the hold. The prey suffocates to death. There is a theory that the pressures induced during constriction will cut off the blood supply and cause Cardiac arrest. The larger of the species eat animals the size of a common house cat. Some Asian species are capable of consuming an adult deer. Not to be left behind, an African rock python can consume whole Antelopes. The snake just swallows the prey whole. It takes days or weeks for the digestion process to be completed. Pythons are oviparous (egg layers) and after the female lays the eggs, she incubates them until the eggs hatch. Female pythons have the knack of increasing their body temperature and that of the eggs by shivering their muscles. Thus, keeping the eggs at a constant temperature helps in the healthy development of the embryo. Female pythons will not take food during the duration of incubation. They just leave the eggs when they go to bask. This, again, is for increasing the body temperature. Pythons are available as pets. You can obtain them from exotic pet traders. You must exercise care when you go for the larger species. Such pets can be dangerous. There are cases where pets caused the death of the keepers. 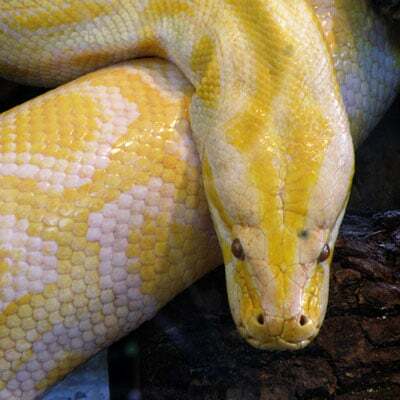 The Asiatic (reticulated) pythons belong to the species Python Reticulates. We can find the Reticulated Pythons in the southeastern regions of Asia. The adult python can reach the length of 6.95 meters or 22.8 feet. The average length ranges from 3 to 6 meters. Pythons are the longest snakes and reptiles in the world. In spite of their length, they are not that heavily built. They are non-venomous They are constrictors like all pythons. The largest of the species possess enough power to kill humans. However, attacks on human beings are rarely reported. 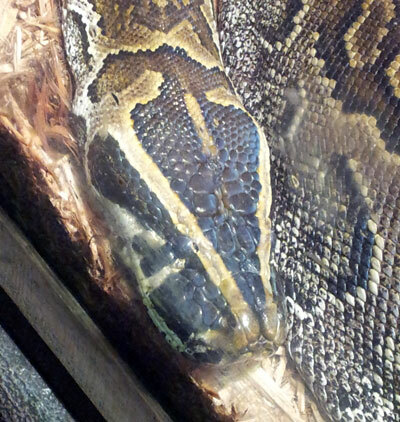 Reticulated Pythons are adept swimmers. Many people have sighted these Pythons have far out at sea,. They have also colonized many Island within range. These species of snakes are the largest native snakes of Asia. 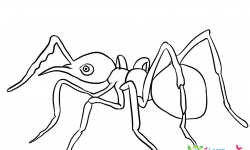 They range in length from 1.5 to 6.5 meters. The Guinness book of World record states that reticulated are the only snake species extant that regularly exceeds the length of 6 meters. You can see Reticulated Pythons widely distributed throughout southeast Asia. They range from islands of Nicobar, northeastern parts of India, Burma, Bangladesh, Vietnam, Laos, Thailand, Cambodia, Indonesia, Singapore and Malaysia. 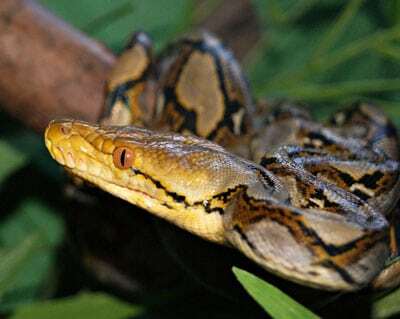 A reticulated python will not make an ideal pet for you. For one thing, it is so large, longer than Anacondas. The snake can very well grow up to 10.6 meters in length. Imagine having a 35 foot long pet! The temperament of the snakes depends a lot on the region they originate from. Some pythons from Thailand’s lesser Sundas, are relatively docile. The pythons from Sulawesi Islands are certainly more aggressive. They Consume dogs, birds and, very rarely, humans. 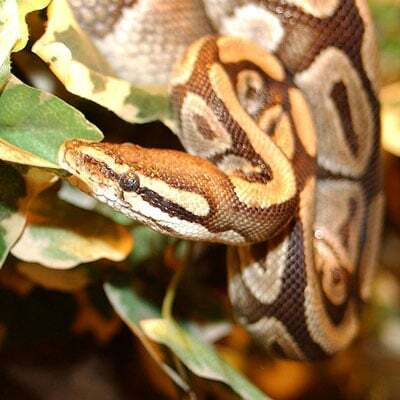 These python species are ideal as pets. 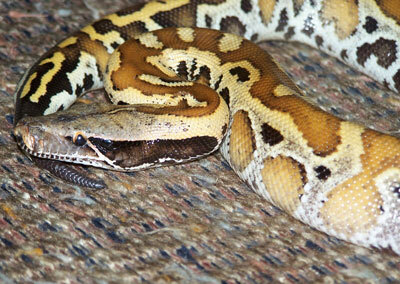 There are many types of carpet pythons with varying colors. 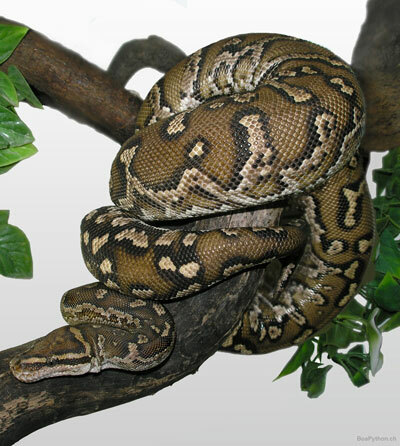 The northern varieties exhibit tan spots on a dark brown body, while the jungle (carpet) python has golden spots on a black background. They reach a maximum length of ten feet. They are good climbers. The pythons feed on rodents, small mammals and chicken. We can find these snakes in New Guinea and Australia. Ball Pythons belong to the species, Python Regius. They are the smallest python species of Africa. These Pythons are very popular as pets. This is mainly because of their docile nature. You can keep this snake as a pet, if it comes along with export permits. 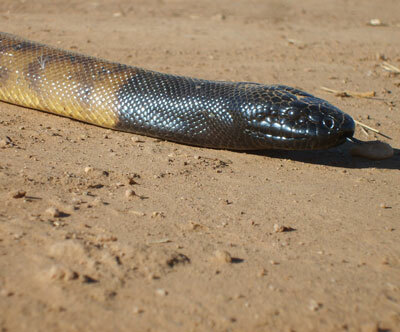 The snakes are black with yellow, gold or brown markings. The life expectancy of the snake is around 50 years in captivity. They usually live only up to twenty or thirty years. The maximum length is around 5 feet. The snake, when threatened, curls itself into a ball. Hence the name, ball python. They also call it the Royal Python. The ball python originates from Central and West Africa. These snakes can climb trees. Python Regiusare a threatened species. You need an export permit to ship the snakes out of Africa. The snakes can feed on all types of rodents. The larger snakes can consume rats and gerbils. When bred in captivity the snake lays up to six or seven eggs. Burmese pythons are a large species. They can grow up to 23 feet in length. A full grown snake can weigh up to 90 Kilos. A female Burmese python lays around one hundred eggs in one stroke. They feed on small mammals and birds. They are basically docile. But there have been reports of the snake attacking their handlers. They are natives of the southeastern parts of Asia, particularly Myanmar. They are capable of swimming and exhibit arboreal nature, during their younger days. Angolan Pythons belong to the species Pythonanchietae. These nonvenomous pythons are endemic or confined to South Africa. They grow up to six feet. The body color varies from reddish-brown to brown or black. You can find irregular white spots or bands on the snake. The belly is yellowish in color. This is a rare species scarcely seen in their habitats or in captivity, This python sports bead like scales on the head. 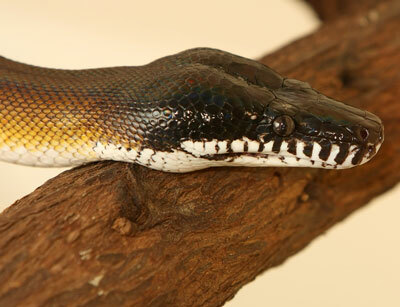 The snake’s upper lip has heat sensitive spots or pits on either side. The dorsal scales are smooth. They occur in rows that number between 57 and 61. They are native to Africa, Angola and Namibia. Their habitats are either rocky outcrops or rock-strewn open brush or grasslands. They are oviparous or egg layers. They lay 4 to 5 eggs at a time. These pythons are rare in captivity. Python breitensteini are a species of python, endemic to the islands of Borneo. Their lengths range between 4 and 7 feet. These are heavy-bodied snakes. They can exceed thirteen kilograms in weight. 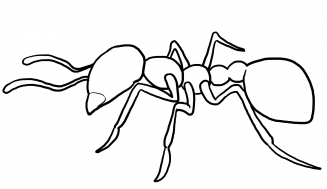 The females are larger, compared to males. They have broad heads. They have several thermoreceptive pits along the nose. They have short, tapering tails. The color is tan with blotches of brown. There is marked variation in color patterns. Some individuals appear to be more yellowish than brown. Juvenile snakes exhibit more contrasting patterns of colors. Usually, the color of the head is yellow. Apart from Borneo islands, you can see them in Indonesia and Malaysia. We can usually find them in lower elevations, on the edges of swamps, flood plains with poor drainage. They seem to have adapted to irrigated farmlands. These pythons are notorious for their mean temper. However, pet lovers increasingly look for them as pets. This comes with the recognition that captive bred specimens are much easier to handle than the ones caught from the wild. Python Brongersmai, is a species of pythons that we can find in Peninsular Malaysia, east Sumatra, Bangka and other islands in the Malaccan straits which include Pinang, Riau and Lingaa islands. 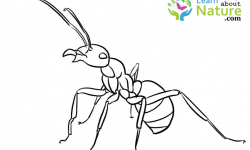 Their habitats are marshes and swamps of the tropics. They are a nocturnal species. The length of the hatchlings range around10 to 17 inches. Adults range from 3 feet to 5 feet. Females vary in length from 4 feet to 6 feet. There have been records of 8 feet long specimens. They have a robust structure which makes them appear overweight. They are rather unpredictable and very aggressive. These snakes are gaining in popularity among snake enthusiasts. The wild caught ones are certainly more aggressive than captive-bred specimens. Python Curtus are non venomous python species, usually found in southeast Asia. 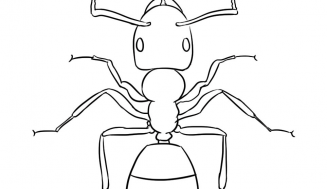 Adults reach a length of 5 to 6 feet. They look stout. They possess extremely short tails. The color pattern is either tan, beige, or grayish brown background with brick or blood red blotches. This species are called a lot of names that include, Blood Python (Sumatran), Short tailed (Sumatran) pythons, blood pythons, short pythons, and the like. Indian pythons are large non venomous pythons. 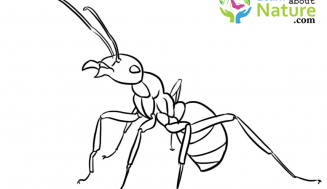 You can find them in the tropic and subtropic regions of south and southeast Asia. They also call Indian pythons black tailed pythons and Indian rock pythons. These pythons are lighter in color than their Burmese cousins. They usually reach 3 meters in length. The background color can be shades of yellow or white with dark brown or tan blotches. The color patterns do vary according to the habitat or type of terrain. For instance, pythons from the western Ghats and Assam are darker compared to those from the east coast or Deccan plateau. Indian pythons appear to be very lethargic. They move ponderously. They appear to be very timid and they do not attack even when threatened. These pythons are carnivores and they consume mammals, birds or reptiles. They seem to have a special liking for mammals. Indian pythons are oviparous. Females are prolific egg layers. They lay up to 100 eggs at a time. The females incubate and protect the eggs. They are able to increase the ambient temperature for incubation by contracting their muscles. At birth, the hatchlings range 45 to 60 centimeters in length. They grow very fast. Rock pythons of Africa are large non venomous snake species of Africa’s sub-Saharan regions. African rock pythons have the distinction of being the largest in Africa and one of the five largest snake species in the world. Some specimens may exceed 20 feet in length. 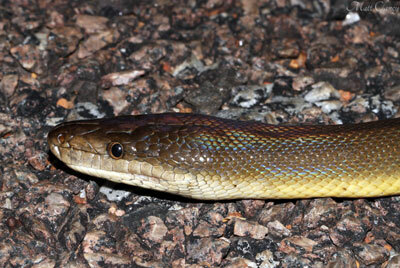 This is a highly feared snake species, even though they seldom kill humans. 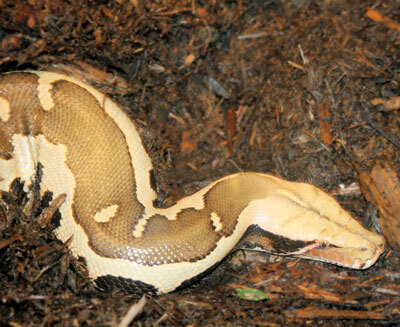 The pythons have a thick body covered with blotches of varying colors like brown, yellow, chestnut and olive. These blotches often join up to form what look like irregular stripes. The underside is whitish. The head is triangular in shape. You can find spear head markings on top of the head. They possess many sharp teeth that curl backwards. They display distinctive triangular subocular (under the eye) marks. Timor pythons are a non venomous python species. They belong to east Asia. They are basically dwarfs. There are no known subspecies. Timor pythons are about seven feet long, They are relatively very thin. We can find them in the lesser Sunda islands located in Indonesia. 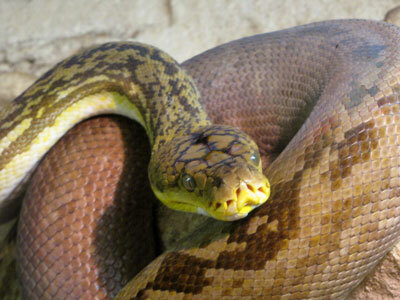 No connection has been established with this python species and the Island of Timor. They have a number of heat sensing pits located between the mouth and the nostrils. This enables them to locate warm blooded prey at night. Timor pythons are oviparous (Egg Layers) They don’t leave the eggs. They coil themselves around the eggs till they incubate. Captive specimens feed on small mammals and birds. Antaresia is the name of a python genus with different species. Collectively, they are known as Chidren’s pythons.The species are Antaresia Childreni, spotted pythons or Maculosa, Stimsons python or Stimsoni, pygmy Pythons and the like. 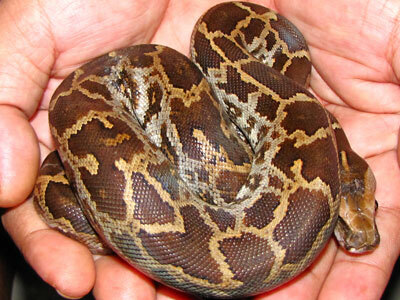 Papuan pythons are a monotypic non-poisonous python species (Apodora Papauna). You can find these species in New Guinea as well as Ferguson Island. They are large snakes, but not heavy-bodied like other python species, They have the distinctive ability to change colors. They are capable of varying the color from olive green to black or mustard yellow. Nothing much is known about the mechanism that helps them to change colors or the reasons for doing so. 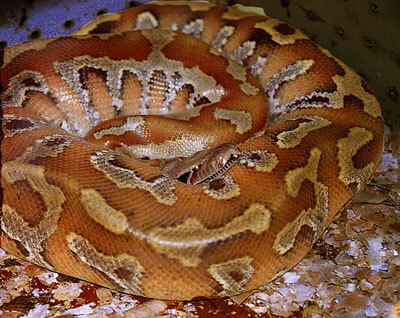 You cannot easily locate Papauan pythons even in the exotic pet trade. They naturally fetch high prices when available. They are a robust species of pythons, which adapt well to life in captivity. They feed on rats that are commercially available. Captive breeding of the species is possible. 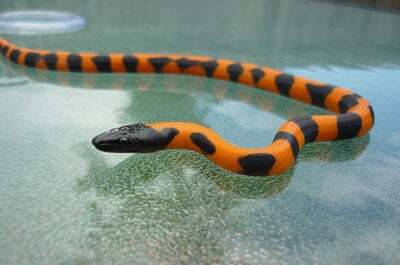 Aspidites are non venomous pythons. We can find the species all over Australia, excluding the southern parts. These include the Black Headed Python and the Woma Python. Unlike most pythons have, they do not have he sensing pits behind the labial scales. They are mostly terrestrial and nocturnal in nature. In spite of their size and strength, they are very docile and they do not bite even when you handle them. They usually feed on small mammals. They are partly ophiophagous, meaning that they will eat other snakes when the need arises. Bismarck Boa or Ringed pythons are a monotypic genus which include non poisonous python species. We can find them in the Bismarck Archipelago. Adults reach a length of around six feet. In juvenile ringed pythons, the color patterns are striking. We can find some brilliant black and orange markings on them. These rings appear as the snakes attain maturity in about a year. Then the adults have uniform blackish brown color with black rings. They usually have light spots behind the eyes. These snakes live in rain forests and open cultivated/uncultivated lands. We can often find them in piles of coconut husks. They primarily feed on rodents. They forage quite actively for their prey. They often enter houses and barns to search for prey. Python hatchlings feed on lizards or baby rodents. Ringed pythons are egg layers. The females lay up to a dozen eggs and infrequently, brood over them. Young ringed pythons do bite initially. They settle down gradually to become your trusted pets. You cannot easily get wild caught ringed pythons. They are available from breeders’ collections every year. These are a genus of non poisonous snakes which consists of six recognized species. Earlier people considered them as a monotypic genus. We can find them in New Orleans. There are no recognized subspecies. Female adults are larger than males. They average 6 to 7 feet in length. The southern species L. Hoserae may well reach ten feet. They do not have patterns except for the northern species that show some white markings behind the eyes. The head is distinct and the snout is triangular in shape. 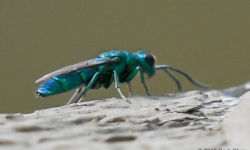 The head’s dorsum (upper side) is colored shiny black. The lower and upper labial scales are whitish, often with black markings on the scales’ anterior edges. The body color varies from brownish violet, yellowish or bluish black which fade into a gray color. 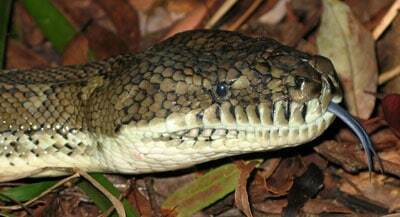 These snakes live at low altitudes in New Guinea, including Salawati and Biak islands, Emirau, Mussau and normanby. We can also see them in a few islands in the straits of Torres. They inhabit rain forests, clearings and swamps. They always live near water into which they may retreat when disturbed or threatened. You can often find them hiding under dead leaves of forest floors. They consume small or medium sized mammals and birds. Hatchlings and juveniles subsist on lizards. The egg laying females deposit around a dozen eggs. The eggs adhere together to form a compact pile, around which the mother will coil her body. When the hatchlings come out of incubation two months later, they are around 38 centimeters in length. Water pythons are a non poisonous species (Liasisfuscus) of pythons that we can find in Papua New Guinea and Australia. Their common names include Water pythons and Brown (water) pythons. 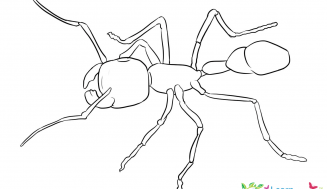 The average length of the adult is around two meters. Some adults do reach three meters in length. They are a stout species. The head is distinct from the neck, albeit slightly. They have thermo sensitive pits to detect warm blooded prey. The color pattern is uniform. 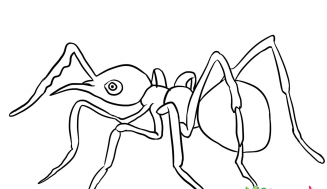 They have dorsal color that is shiny blackish brown. The belly is yellowish. The color of the throat is cream. The labial areas are light gray -brown with black or brown spots. We can find them widely distributed in Australia. From Kimberly district in western Australia, east to Broom area, through the north to Mataranka in the south to the coastal area of central Queensland, up to Mackay. 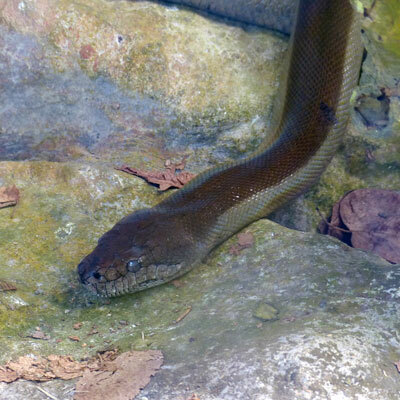 Even though the common name is water python, you can find them away from water for most of the year. They are a nocturnal species and lie concealed during the day inside hollow logs, vegetation or river banks. Even the wild specimens are docile in nature. They do not bite. Captive specimens on the other hand, are quite snappy and some remain so as adults. They are defensive in their nature. Water pythons are opportunistic feeders. They will lay their jaws on a variety of vertebrates. Their main prey is the dusky rat. Mating season is July to August, right in the middle of the dry season. After a gestation period of about a month, the female lays around a dozen eggs. The hatchlings come out of incubation after 57 to 61 days. They are about 30 centimeters long. Tree pythons belong to the species Morelia Viridis We can find them in Indonesian Islands, New Guinea and Australia’s Cape York (peninsula). 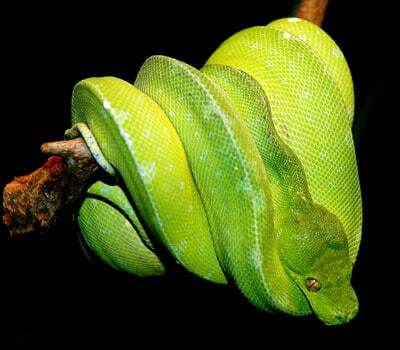 Green tree pythons possess thin bodies, with the tail accounting for 14% of the total length. The large head is well defined from the neck. 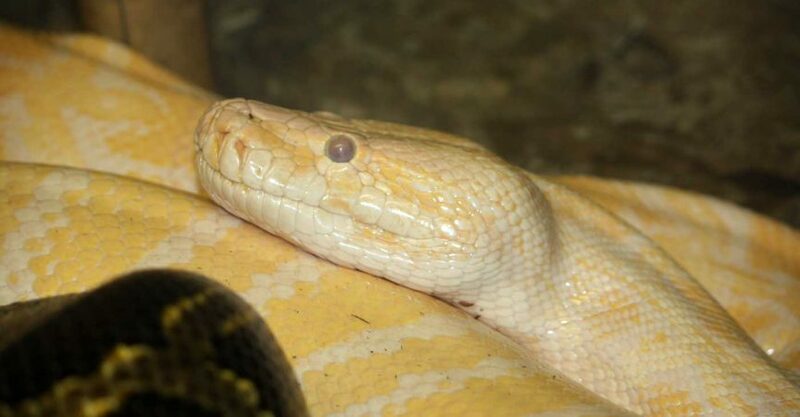 Tree pythons have large, angular snouts. In cross section, the body appears to be triangular. The spine is visible. They usually reach an average length of 150 t0 189 cms. The larger females may grow up to 200 centimeters. You find Tree Pythons in Salawati, Misool, Schouten and Aru islands of Indonesia, in a major portion of west new Guinea, Florida in the U S A, the islands near Papuan New Guinea, islands in France and Australia. They inhabit the bushes, shrubs and trees in the rain forests. Arboreal in nature, they spend most of their time in the trees. They have a peculiar way of resting. They loop a couple of coils around the branches, then place the head in the middle. They share this peculiar trait with the emerald tree Boas belonging to South America. Even in their appearance, there is a marked similarity. People tend to get confused when they see them out of their natural habitat. They feed on small mammals, rodents and even reptiles. These snakes are oviparous, laying 1 to 25 eggs at a time. We do not know anything about their breeding in the wild. In captivity, female snakes protect and incubate the eggs. Hatchlings sport broken stripes against a lemon-yellow background. There can be red, orange, golden, purple or brown spots. These snakes are an advanced species with particular care requirements. Once you meet these requirements, you can breed them well in captivity.